Congratulations to all players for the efforts and commitment made to prepare for and to travel to the Gold Coast for the 2017 Australian University Games Kendo event. Overall Results – Kendo PDF. The University of Sydney, 21 points. University of Technology Sydney, 10 points. The University of Melbourne, 3 points. Monash University, 3 points. In 2017, the Australian University Games is returning to The Gold Coast for its sixth year. Major event partners, Tourism and Events Queensland and City Of Gold Coast are gearing up to welcome students from across Australia to take part in a week of serious sport and serious fun this September. Since its inception in 1993, the Australian University Games (AUG) has grown to be Australia’s largest annual multisport event. Held each September/October, the Games is renowned for providing a friendly but competitive environment for Australian university athletes and is the flagship event on the national university sporting calendar. Carrara Stadium, Nerang Broadbeach Rd, Carrara, QLD 4211, Australia. Event details. Unisport’s Kendo Event page is here. Friday 22 September: Shinai safety check and Managers briefing. Saturday 23 September: Shinai safety check and Competition. Sunday 24 September: Competition and closing ceremony. 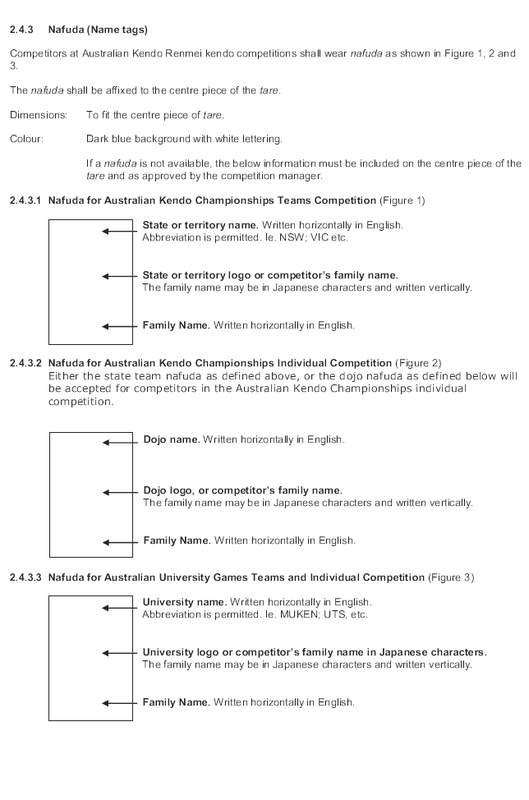 Note that the nafuda for use at the Australian Unigames is now specified.